Unlike free proxy services, a VPN extension keeps your traffic encrypted. How to bypass YouTube restrictions? YouTube is one of the most heavily restricted websites in the world. Individual content is often blocked in certain countries or areas, while in many workplaces, schools and universities the service is completely inaccessible. Proxy or VPN services allow connecting to a remote server, making your IP address look as if you are located in another location. This way, you can access all YouTube content available there. Free proxies hide your IP address but using them to access YouTube content puts you at risk. Proxies don’t encrypt your internet connection, making it an easy target for cybercriminals. 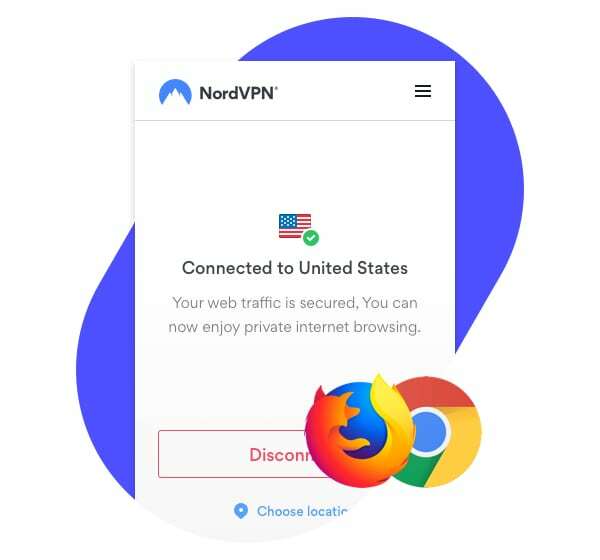 Encrypted NordVPN extension secures your Chrome or Firefox browsers and allows you to watch YouTube videos without limits or bandwidth throttling, while at the same time keeping your communications secure and private. Experience a more open and secure internet with a lightweight privacy solution. What is a Youtube proxy and what does it do? A YouTube proxy is a tool that hides user’s IP address, this way allowing them to bypass internet censorship and watch YouTube videos, including those that are blocked in their region. Proxies are easy to set up and use. They usually work on every device connected to the internet and are compatible with all major operating systems – macOS, Linux, Windows, Android, and iOS. Can a proxy help avoid bandwidth throttling? What concerns web proxy users the most is bandwidth limits that many free services tend to impose. Unfortunately, no proxy will save you from buffering or slower connection speeds when watching YouTube videos or using online streaming services. However, you can easily bypass these limits by using a VPN. NordVPN does not limit, monitor or block connections speeds in any way, shape, or form. 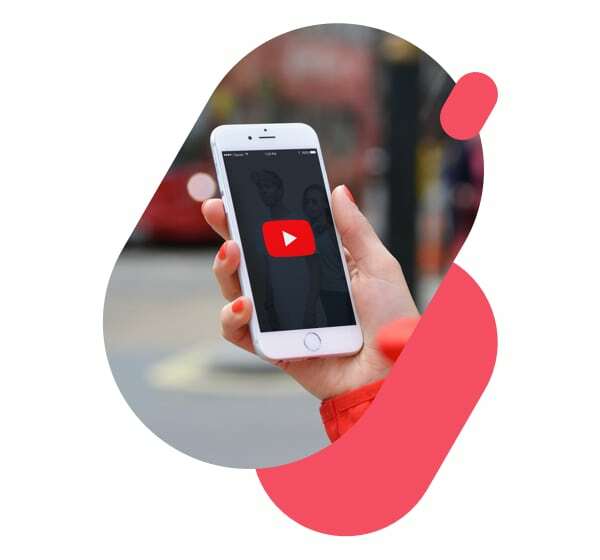 Also, the unlimited bandwidth enables you to watch as many YouTube videos as you like with no limits. Will using a proxy slow down my internet connection? Since the YouTube proxy is a free service, a lot of internet users use it. Therefore, it can put a heavy load on the server, which can result in the slow connection speeds. For comparison, the NordVPN extension has 5100+ servers under the hood, so you can always have the best connection speeds when watching videos. Are there alternatives to proxies? Although a free YouTube proxy allows you access blocked content, it doesn't encrypt your internet connection, which a VPN does. NordVPN extension protects your online activity with reliable security technologies to ensure strong VPN encryption between your device and the remote server you are connected to. Therefore, all the data traveling from your computer, tablet or phone is sent through a secure connection, referred to as a VPN tunnel. This way, all the traffic coming from your device is protected and no longer visible to your ISP. Also, a YouTube proxy cannot offer connection stability, while NordVPN extension can. On top of that, you can download the NordVPN apps for Windows, macOS, Linux, Android or iOS for the same subscription price. The apps will secure everything you do online with military-grade encryption. Why is VPN a better choice than a free proxy? Unlike a YouTube proxy server, a reliable encrypted extension goes way beyond hiding your IP address. It helps you stay secure and private on the internet and safely access your favorite websites even if they are not protected by HTTPS. Extra protection from IP leaks will make sure that your online identity always stays protected. You can also use the extension to block annoying ads, malware, and other threats. So if you are using a free web proxy, we strongly recommend to take into consideration your online privacy and security and start using an encrypted VPN proxy extension instead. Forget buffering and bandwidth throttling to enjoy flawless streaming experience. Shield yourself from intrusive advertisements and malicious online threats. Have the fastest VPN experience without compromising your internet security.